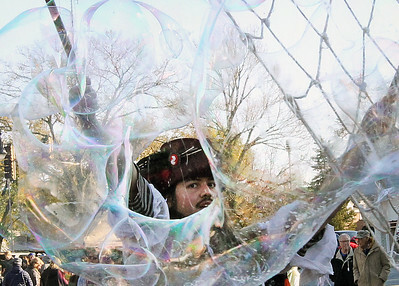 Candace H. Johnson - for Shaw Media Nick Stahl, with Bubble Pauper of Hanover Park, uses a net to create bubbles during Trick or Treat on Main Street in Wauconda on Sunday, Oct. 29, 2017. 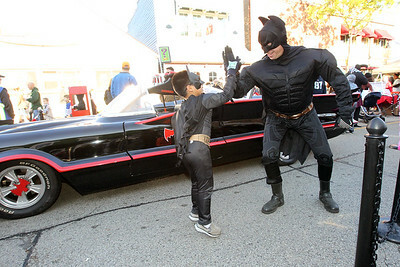 Candace H. Johnson - for Shaw Media Giovanni Madrigal, 6, of Wauconda gets a high-five from Bruce Starkey, of Wauconda, both dressed as Batman, next to the Batmobile on display from the Volo Auto Museum during Trick or Treat on Main Street in Wauconda on Sunday, Oct. 29, 2017. 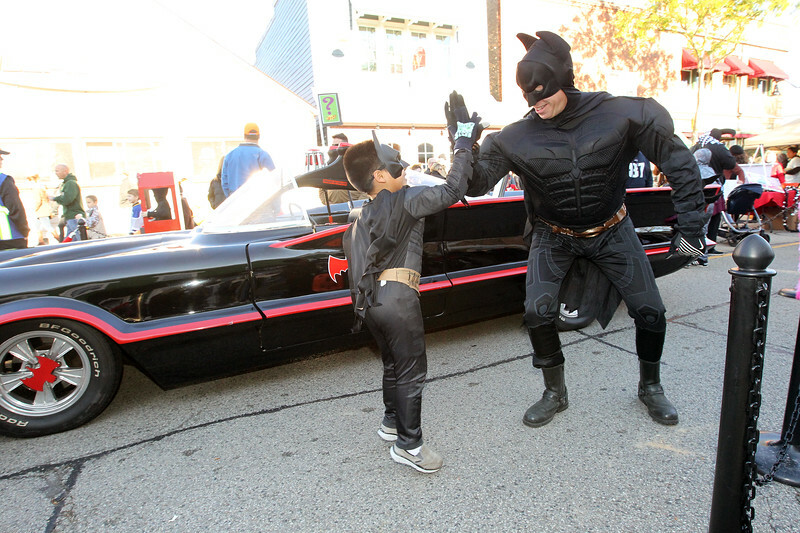 Candace H. Johnson - for Shaw Media Alyssa Arroyo, 4, of Wauconda plays the Dracula Throw game during Trick or Treat on Main Street in Wauconda on Sunday, Oct. 29, 2017. 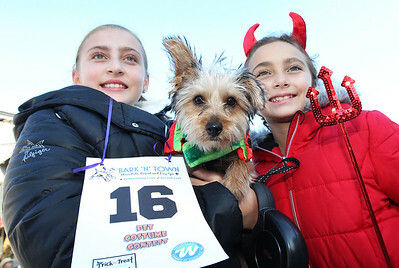 Candace H. Johnson - for Shaw Media Alexandra Goldenstein, 10, and her twin sister, Anastasia, hold their dog, Coco, a four-month-old Yorkie-Poo after she won first place in the Pet Costume Contest dressed as a watermelon during Trick or Treat on Main Street in Wauconda on Sunday, Oct. 29, 2017. 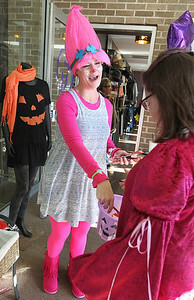 Candace H. Johnson - for Shaw Media Jen Egan, sales associate with Threads, as Princess Poppy, hands out candy next to the clothing store during Trick or Treat on Main Street in Wauconda on Sunday, Oct. 29, 2017. 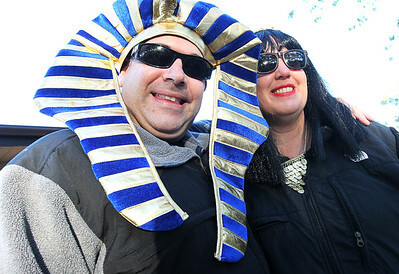 Candace H. Johnson - for Shaw Media Joey and Keri Isacovici, of Gurnee dressed up as King Tut and Queen Nefertiti during Trick or Treat on Main Street in Wauconda on Sunday, Oct. 29, 2017. 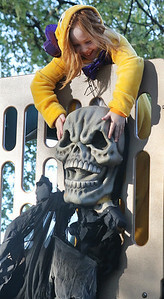 Candace H. Johnson - for Shaw Media Madeleine Mullinax, 8, of Lake Villa plays with a scary decoration in the playground during Trick or Treat on Main Street in Wauconda on Sunday, Oct. 29, 2017. 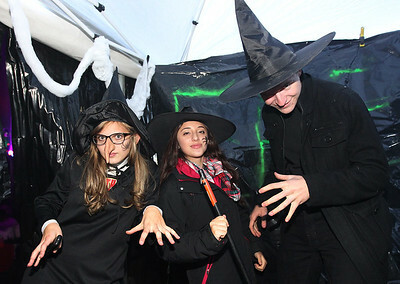 Candace H. Johnson - for Shaw Media Witches Carlye Pichman, Isabelle Esquivel, and Ethan Jankowski, all 17, with the Wauconda High School Drama Club scare vistors in the Park District's Haunted House during Trick or Treat on Main Street in Wauconda on Sunday, Oct. 29, 2017. 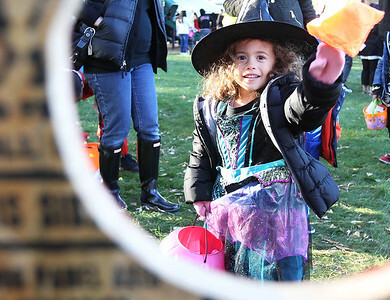 Candace H. Johnson - for Shaw Media Valerie Lopez, 7, of Streamwood and her cousin, Natalia Sandoval, 6, of Wauconda make door ghost crafts during Trick or Treat on Main Street in Wauconda. 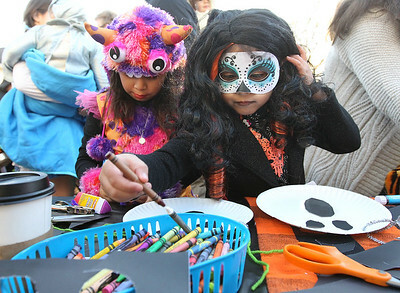 The door ghosts craft table was sponsored by the Girls Scouts of Northern Illinois on Sunday, Oct. 29, 2017. 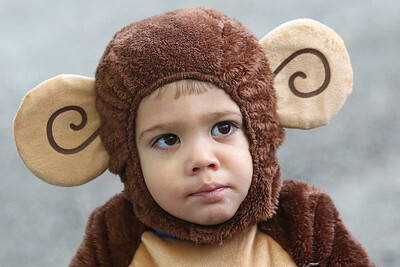 Candace H. Johnson - for Shaw Media Eric Grobner, 2, of Volo dressed as a monkey during Trick or Treat on Main Street in Wauconda on Sunday, Oct. 29, 2017. 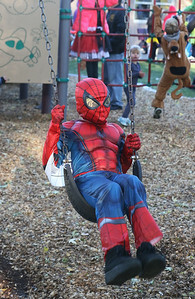 Candace H. Johnson - for Shaw Media Giovanni Dennison, 8, of Skokie, as Spiderman, swings in the playground during Trick or Treat on Main Street in Wauconda on Sunday, Oct. 29, 2017. 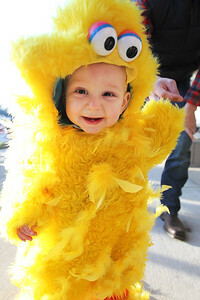 Candace H. Johnson - for Shaw Media Elijah Iverson, eleven-months-old, of Wauconda, as Big Bird, walks with his father, Joshua, during Trick or Treat on Main Street in Wauconda on Sunday, Oct. 29, 2017. 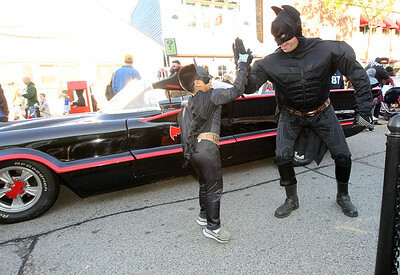 Giovanni Madrigal, 6, of Wauconda gets a high-five from Bruce Starkey, of Wauconda, both dressed as Batman, next to the Batmobile on display from the Volo Auto Museum during Trick or Treat on Main Street in Wauconda on Sunday, Oct. 29, 2017.